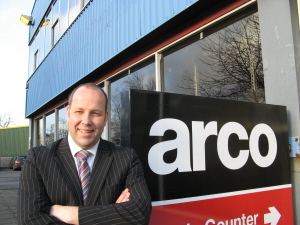 The Executive Committee are delighted to announce that ARCO have agreed to be Safety Group Patrons for 2011. ARCO had been Patron a number of years ago and it is great to see them again as Patron, reaffirming their commitment to the promotion of heal..
Lord Young's eagerly awaited review into Health & Safety in the UK is attached. The report is some 50 pages long but Pages 11 & 12 show an executive summary. Pages 13 to 17 show a summary of recommendations..
LETTER RECEIVED FROM MENINGITIS TRUST I am writing on behalf of the Meningitis Trust to thank the Northern Ireland Safety Group (an organisation that promotes occupational health and safety) for choosing us as their nominated Charity for the proceeds..
Each year the Northern Ireland Safety Group arranges its June meeting to an external venue where members can learn about health and safety systems in an alternative environment which, perhaps, has unique systems in place with regard to health and saf.. 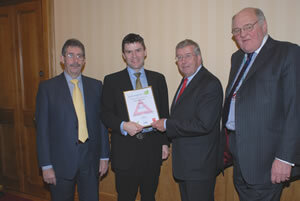 The Northern Ireland Safety Group is delighted to announce that, once again, it has won a prestigious health and safety award in recognition of the work it carries out on behalf of its members. In previous years the NISG has enjoyed considerable succ..
Perhaps one of the most successful seminars the NISG have organised was held in the Kings Hall Conference Centre on 22nd October 2007. 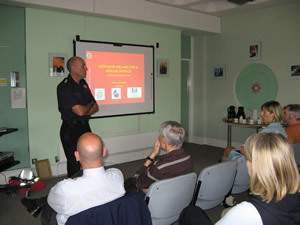 The CDM (NI) Regulations 2007 seminar was attended by 190 delegates. 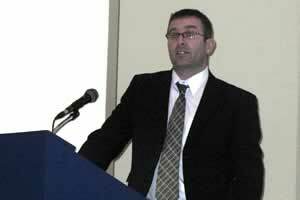 The seminar was organised in such as way as to..
Lagan Construction and FK Lowry Ltd,Two of Northern Ireland's leading Contractors, have scooped top awards at the 2007 NISO/NISG Occupational Health and Safety Awards. 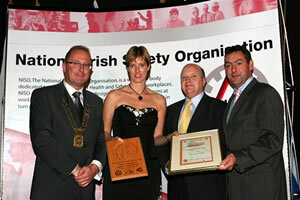 Lagan Constrcution won the Northern ireland Award whiel FK Lowry won the Specialis..
'Jim Pow collecting Alan Butler Communication Award at the House of Lords' The Northern Ireland Safety Group has, once again, been recognised for the quality of its communication of health and safety by being ed as joint winner of the ‘Communic..
‘Ian Morrow from the Railway Sleepers receiving the trophy for Previous Entrants’ The Northern Ireland Safety Group (NISG) held its Annual Safety Quiz at the Wellington Park Hotel Belfast on Friday 19th January 2006. Teams representing la.. 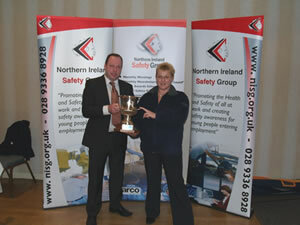 The Northern Ireland Safety Group held an extremely successful seminar at the King’s Hall in Belfast. The subject was Noise and Vibration and we were delighted that a range of experts were able to join us and pass on valuable advice to NISG mem..